With everyone being sick (thanks to Isaak's Croup), and having allergies around here it's important to take care of ourselves. 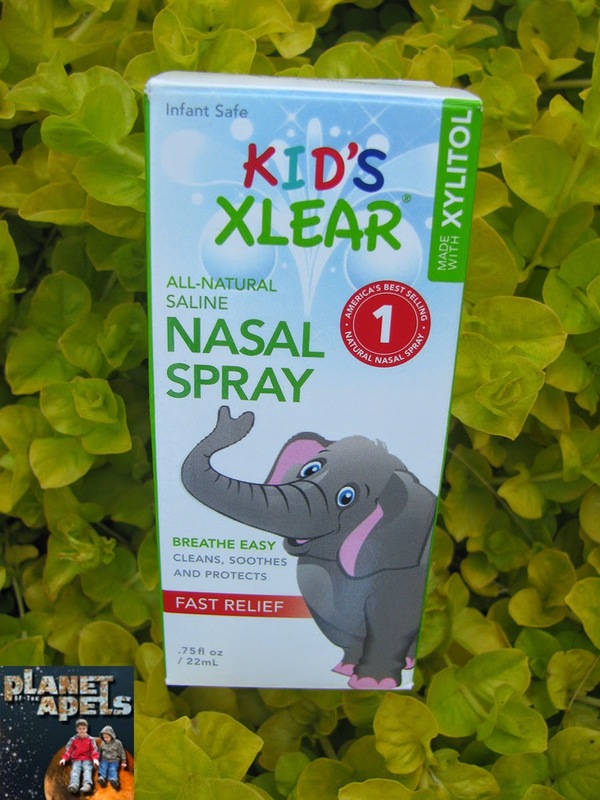 I recently got Kid's Xlear All-Natural Saline Nasal Spray to review for Isaak. I'm picky about what I use on the boys, and myself. The problem is, is a lot of the natural allergy relief products out there are only for ages 12 and up. I was stoked that finally there's a product out there that Isaak can use! Gently cleans, moisturizes and soothes the sinuses and nasal passages. Washes away pollutants, irritants and airborne contaminants. Developed by physician, Dr. Lon Jones. This product is safe for babies to use, and it's effective for all ages! Use a humidifier at night. It's important to dump the water after each use, so no mold develops. 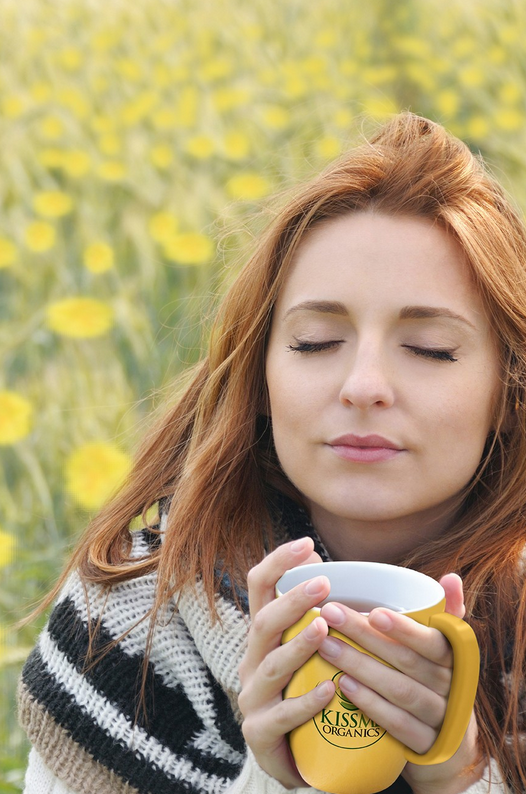 Take showers or baths before bed, so no pollen stays in your hair. Clear your nose with a netti pot. 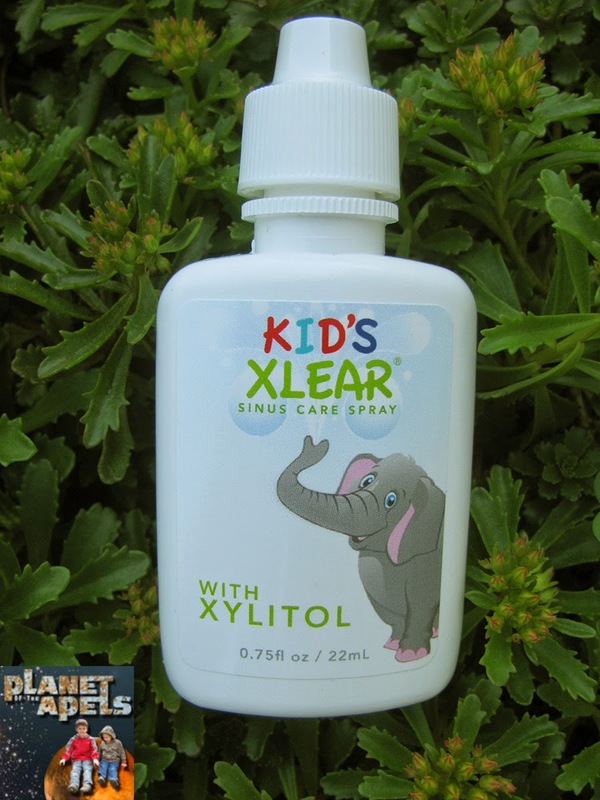 Use Kid's Xlear All-Natural Saline Nasal Spray after the nose has been cleared. 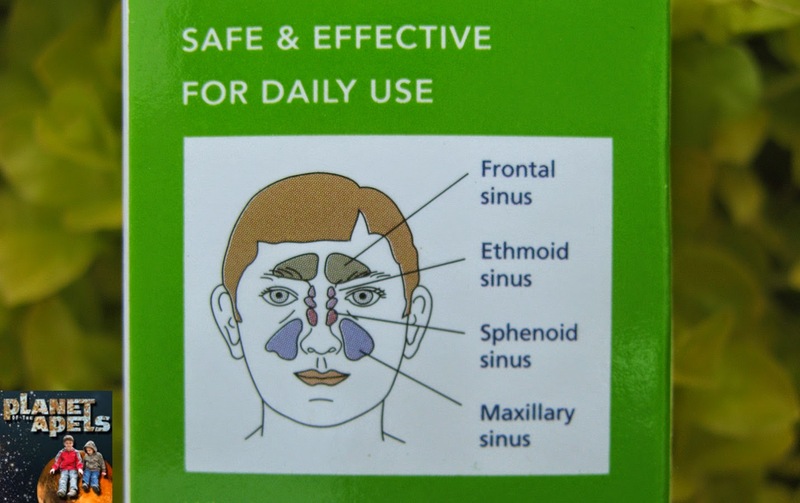 It's easy to use: Kids can snuff it up their nose, or kids can lay down and it can be squirted up the nose. Amount: .75 fl oz | 22 ML. Isaak has had no problem using this spray. In fact he's asked to use it again and again. I think it does make him feel better. I feel good about him using it because it's all-natural and safe for kids. I received one or more of the products mentioned above for free from Xlear.com. Regardless, I only recommend products or services I use personally and believe will be good for my readers. I decided that one week I'll cover a music art form of some sort, and the next week I'll cover a visual artist on Saturdays. I'm going to start with some artists that are ones that I know, which are Out of the Box. Later on I'll discover artists along the way with you. The first artist I will cover is Joe Sorren. 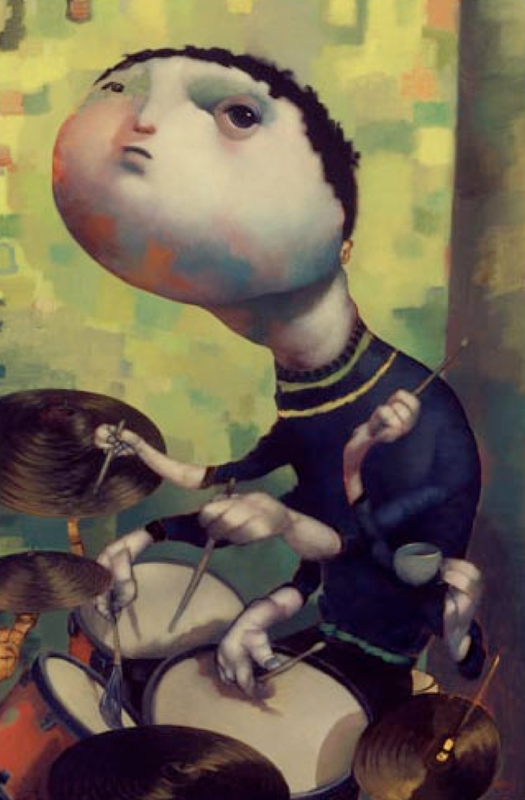 Joe creates editorial illustrations, paints for galleries, and has been working on instrumental CD called Songs for Pandas. Sorren grew up in Arizona. Right now he lives in Florence, Italy. 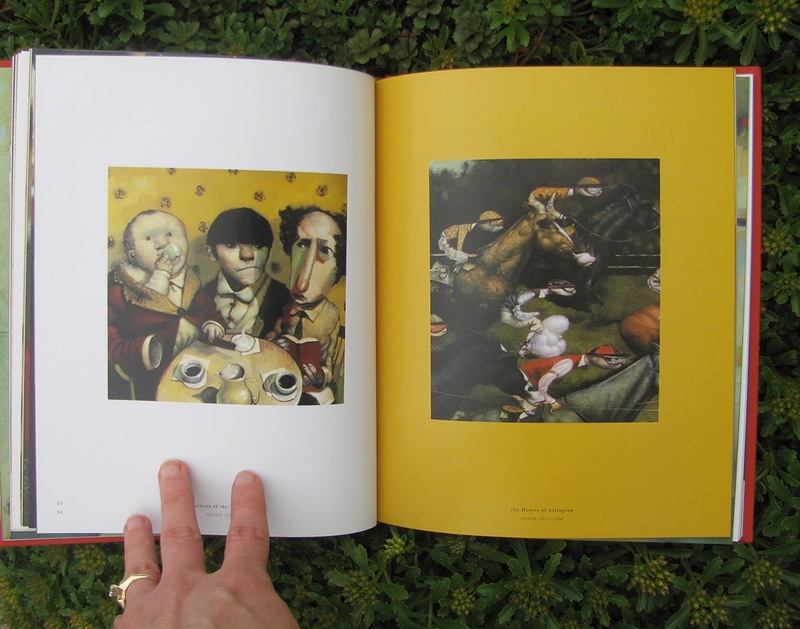 His first solo exhibit was in 1995. 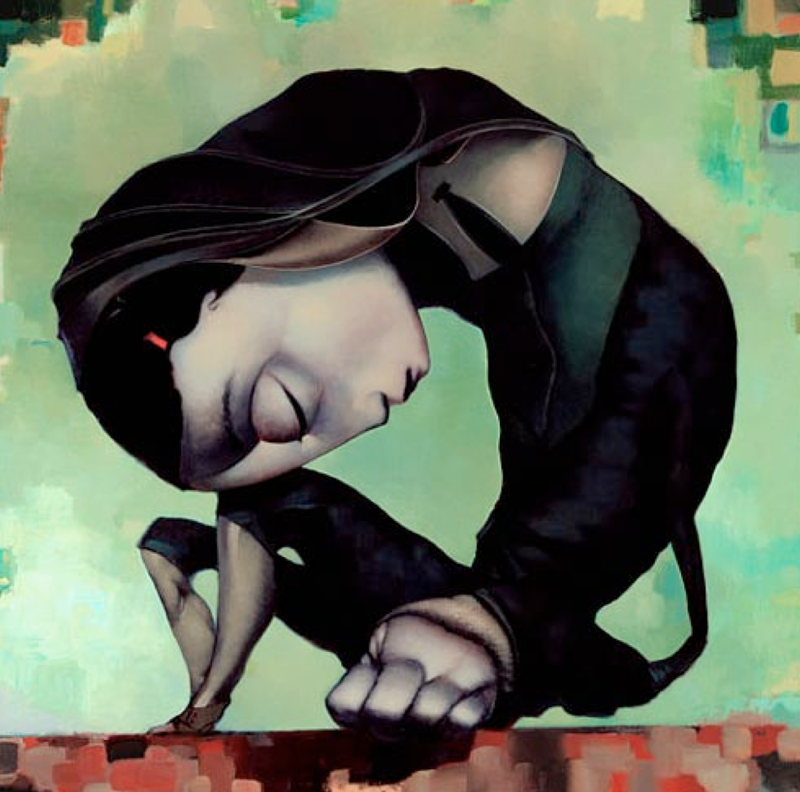 He paints with acrylics | oils, and makes sculptures as well. 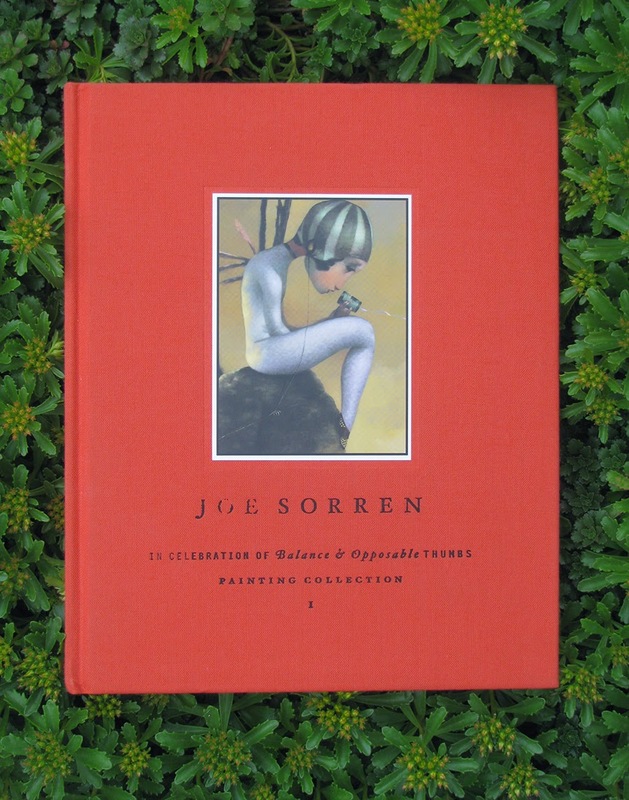 Sorren sells on his website prints, trading cards (small prints), and limited edition books. 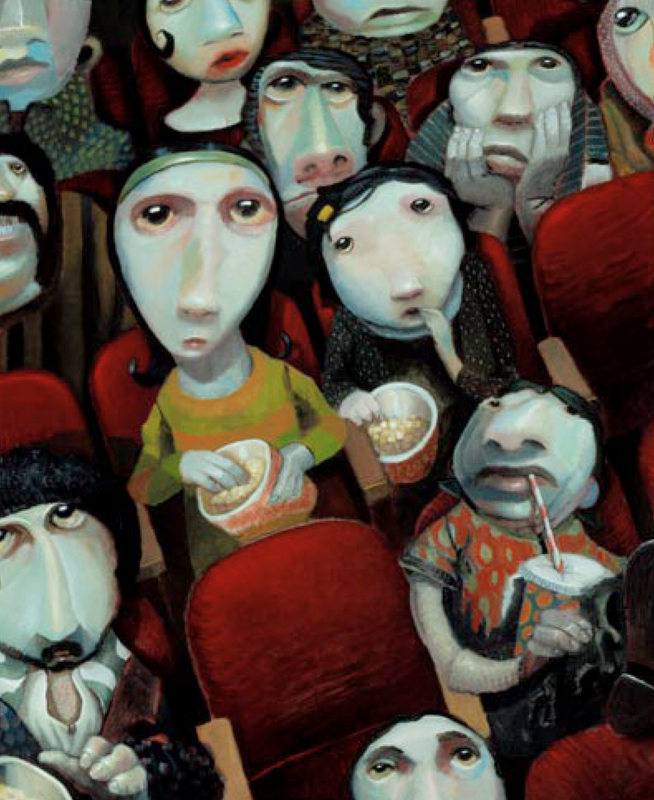 He's also done illustrations for The New Yorker. 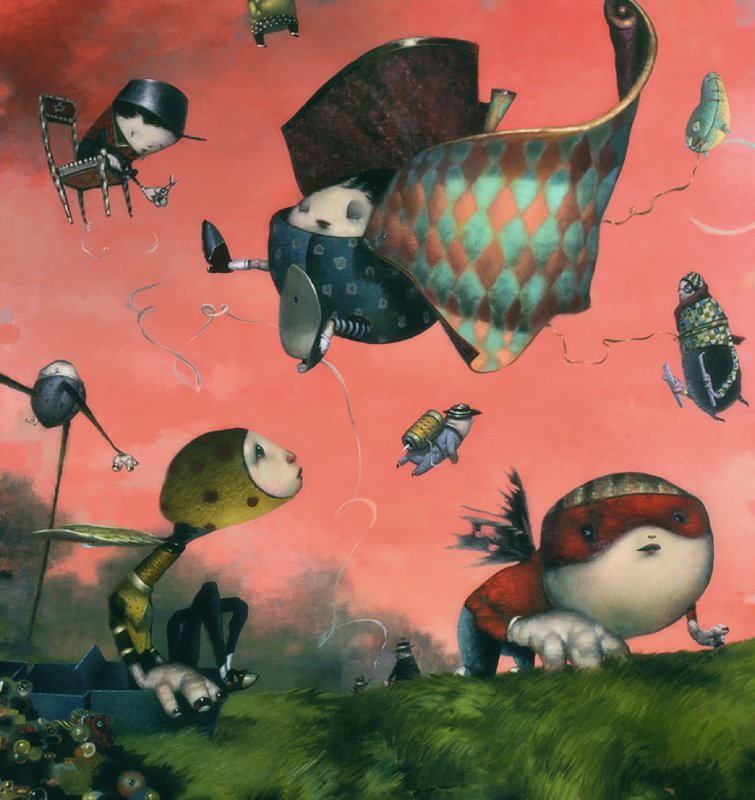 His work is playful, dark, twisted, dreamlike, and fun all wrapped up together. 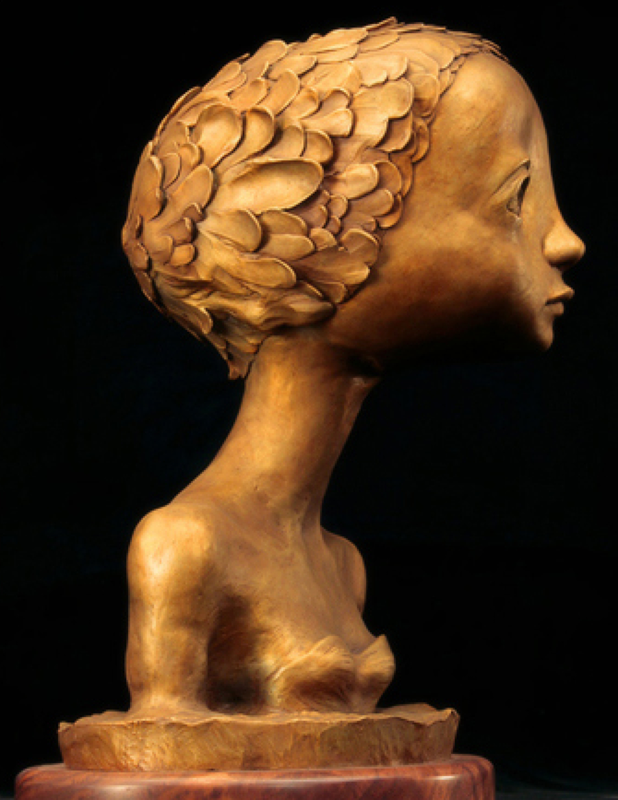 My husband says that he know why I have crazy dreams when I look at Sorren's work. I love his image of the 3 Musketeers. Add Joe Sorren as a friend on Facebook. I love Argan Oil. 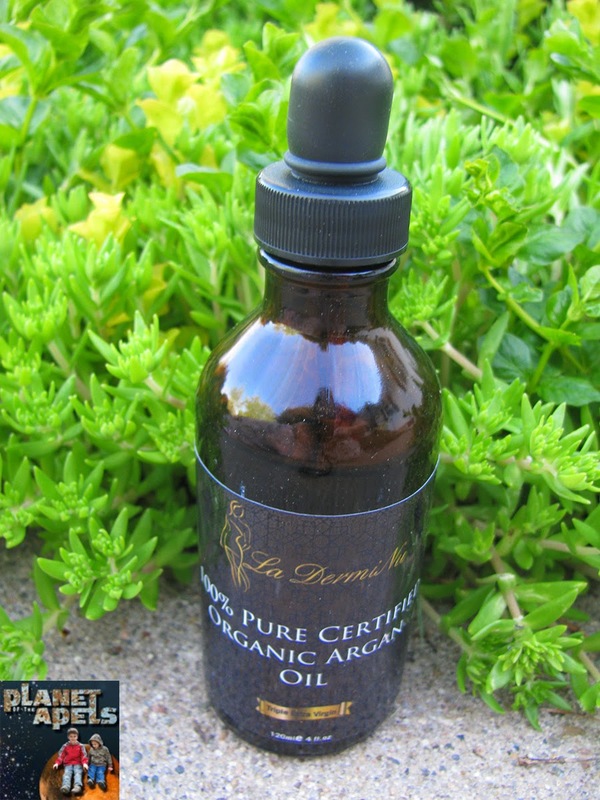 La DermiNu's 100% Pure Certified Organic Argan Oil. I like the way Argan Oil feels on my skin more so than Fractionated Coconut Oil. It should be very expensive and time consuming oil to produce. 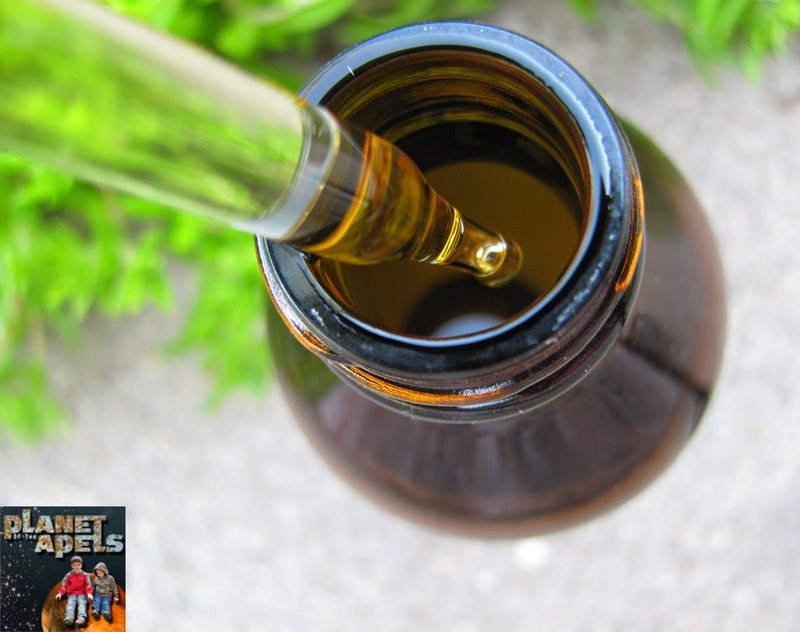 If you come across, for example, a bottle of Argan oil, 100 ml in size for anything less than $32 then chances are its fake as the cost of getting the oil to the customer would mean very little profit for the seller and therefore would make it very suspicious. The price of La DerminNu Argan Oil is $79.95, but it's on sale for $24.95. It should have a light nutty smell to it because it's extracted from the nut. It should have a slight golden color. The texture should, of course, be of an oil and not a watery substance. 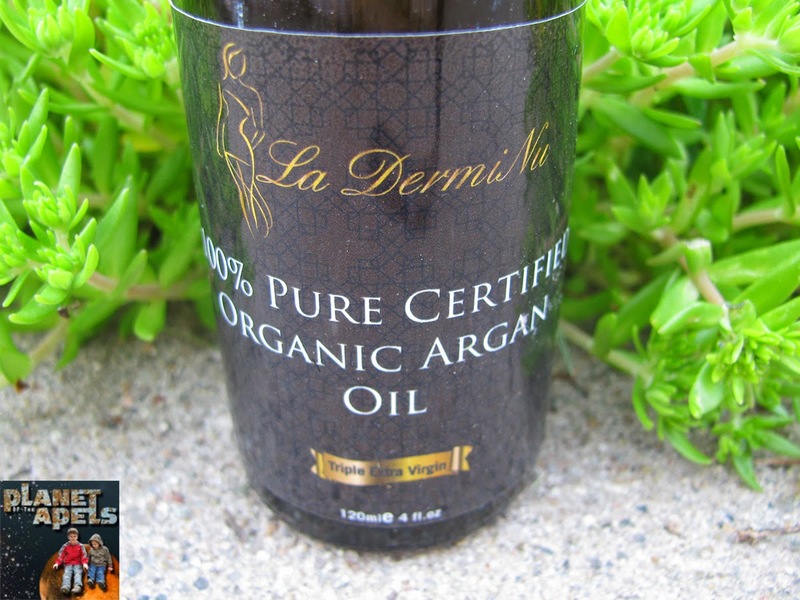 Many people are raving about their results using La DermiNu's 100% Pure Certified Organic Argan Oil! Stimulates hair growth; makes your hair strong, healthy, shinier, and more manageable! Moisturizes, smoothes and softens dry and blemished skin while minimizing fine lines and wrinkles to fight aging! Heals skin and tissues, decreases inflammation, protects from sun damage! Purifies your skin with argan oil's amazing natural triterpenoids! It contains NO fillers, no artificial colors, fragrance, alcohol, preservatives, animal ingredients, or parabens; is gluten free! It has received Ecocert certification and has obtained USDA organic seal from the IMC. One thing I have a lot of is pillowcases. Why? It's a simple answer really - Allergies. I wash the pillowcases with every load of laundry I do. 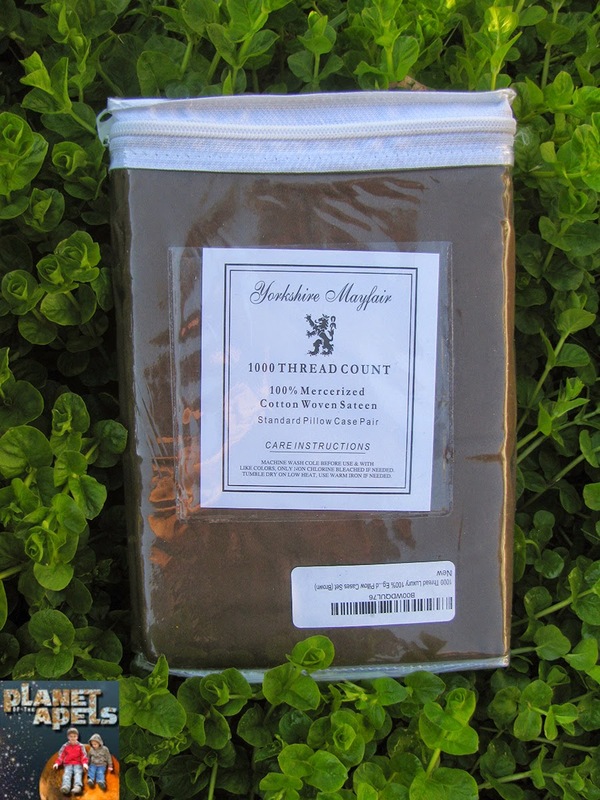 I'm very happy to introduce you to Yorkshire Mayfair 1000 Tread Set of 2 Cotton Pillowcases that I got for review. 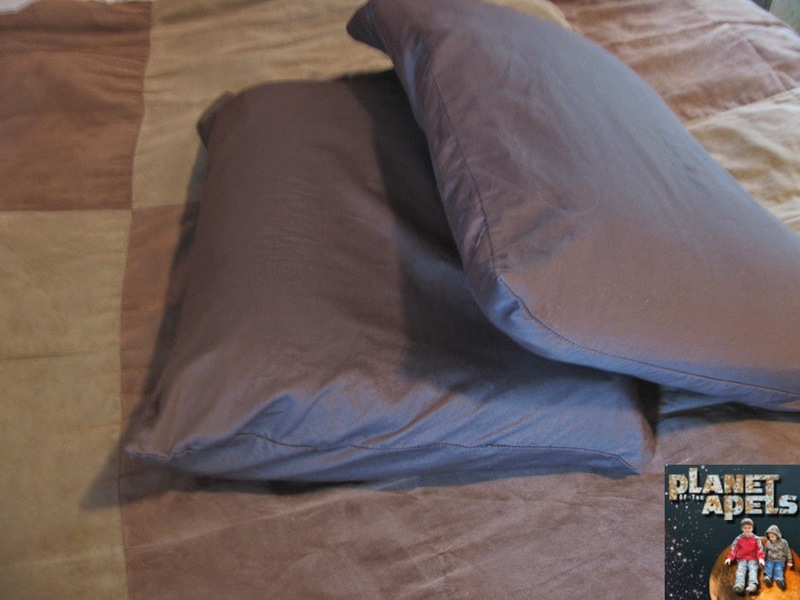 With so much washing my pillowcases either stand the test of time, or they do not. Having a high thread count certainly helps! This is after we slept on them overnight. They got a little wrinkled on the edge, but I think anything would after being slept on. 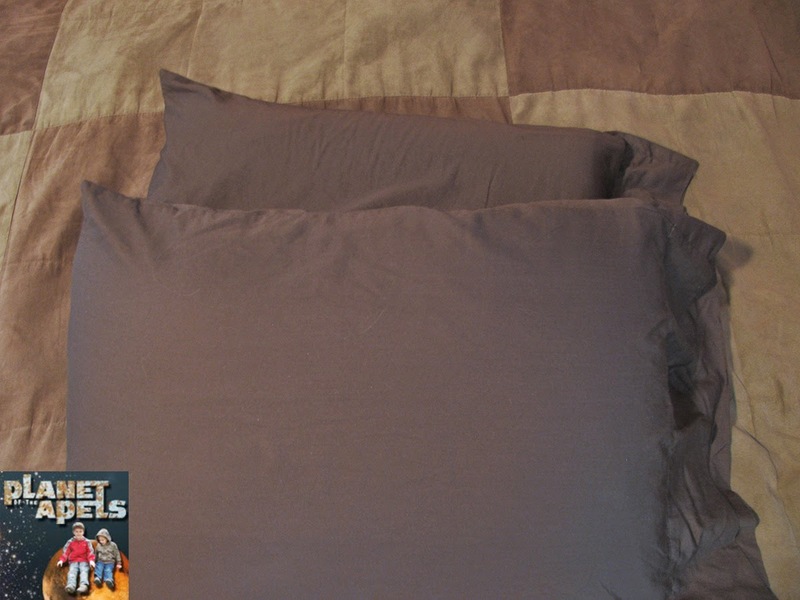 Travis' pillow is a chiropractic pillow, so pillow cases are awkward on it. It still fit. They are comfortable! I love the brown color with our bedding. 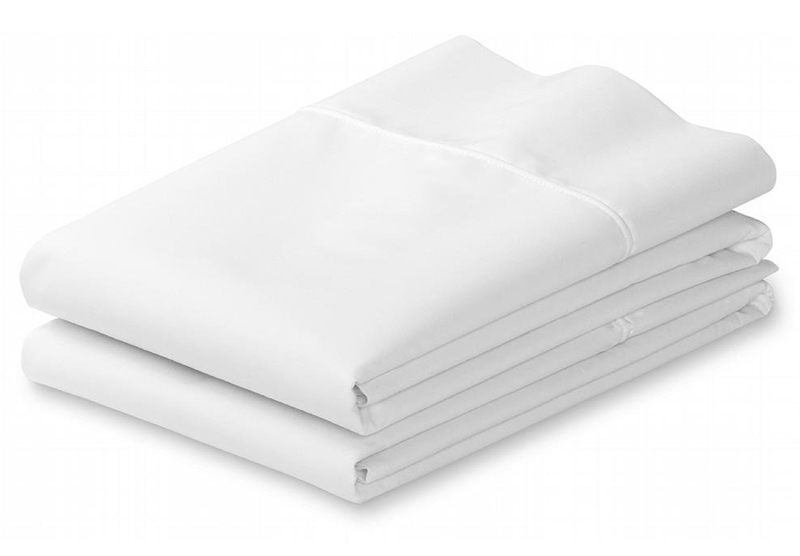 White, or cream pillow cases stand out like a sore thumb. I washed them in cold water before use, dried them, and they came out virtually wrinkle free prior to sleeping on them. They are not cheap: $59.99, but they are on sale for $19.99. The high thread count makes the cost up there. I'm here to tell you the cost is so worth it. 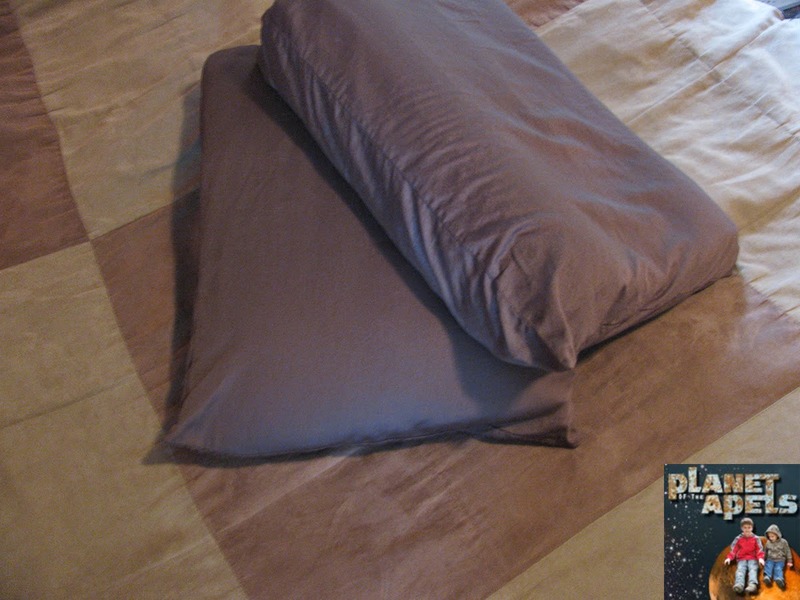 They last longer then other pillowcases. They do not shift at night, and are comfortable to sleep on. They do have several colors available. I chose brown because it goes with our bedding. I love the color! 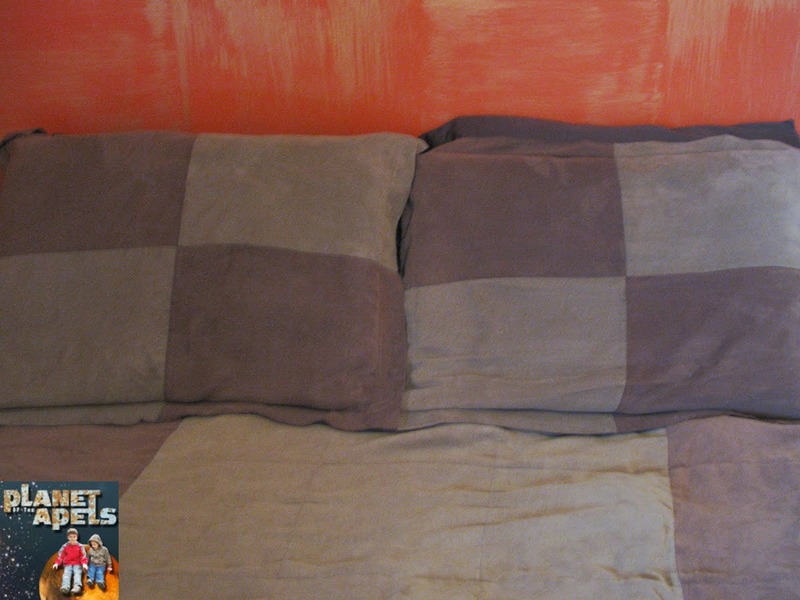 How often do you change your pillow cases? Last night I worked 8-4:40, picked up the boys by 5, came back to work by 6:15, and worked until 9:30. You can say that I'll be tired on today - Friday. (I'm pre-writing this). 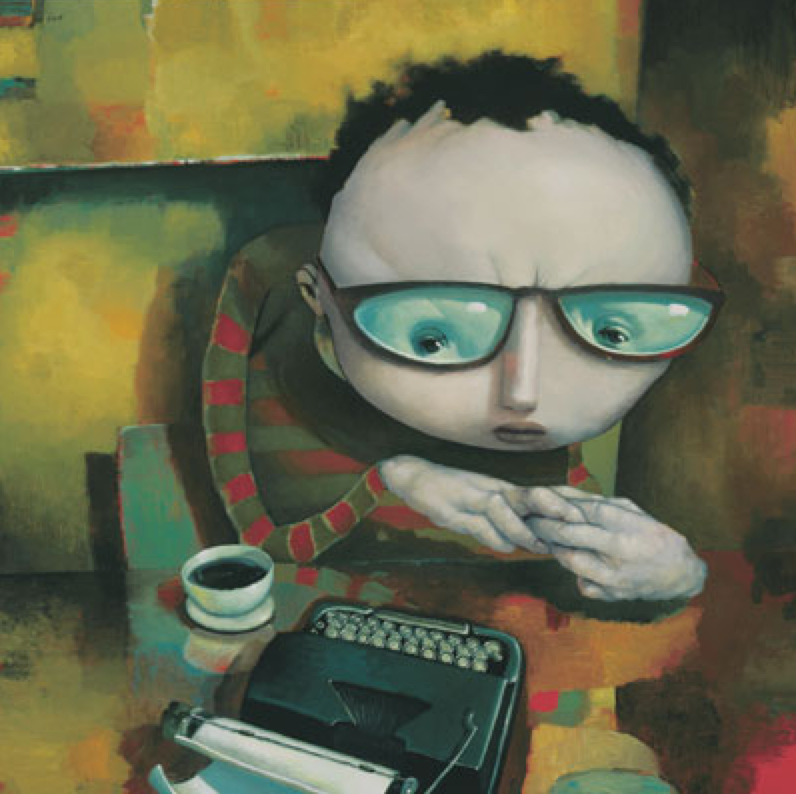 The students have a portfolio review night. Pros come in looking at their portfolios. Some of them get jobs out of going to it. I wish they had a night like that when I was in school. This sickness that we've had is crappy! We're all still feeling it. Mica flat out won't blow his nose unless someone tells him to. He'll go the whole school day with a snotty nose. I make him do the netti pot when we get home. Let's just say he should be blowing his nose! Isaak sounds like he's smoked for years - cough, cough, cough. I still don't sound myself when I talk. I've resorted to my inhaler. I don't like doing things like that, but it's pretty important to be able to breathe. I found out our Education Director is leaving. :( While she wasn't perfect (like anyone is - including myself); I will miss her. It's nothing bad. She's just ready to retire. She's the only female that works with me on a consistent basis. The boss' wife works here to, but she eats in her husband's office. No offense, but I need female time sometimes. I live with boys, and work with them to. I think it's crazy that we have more problems with race now than we have in awhile. Why do I think it's crazy? Because we finally have an African American President. I watched this video this last week. 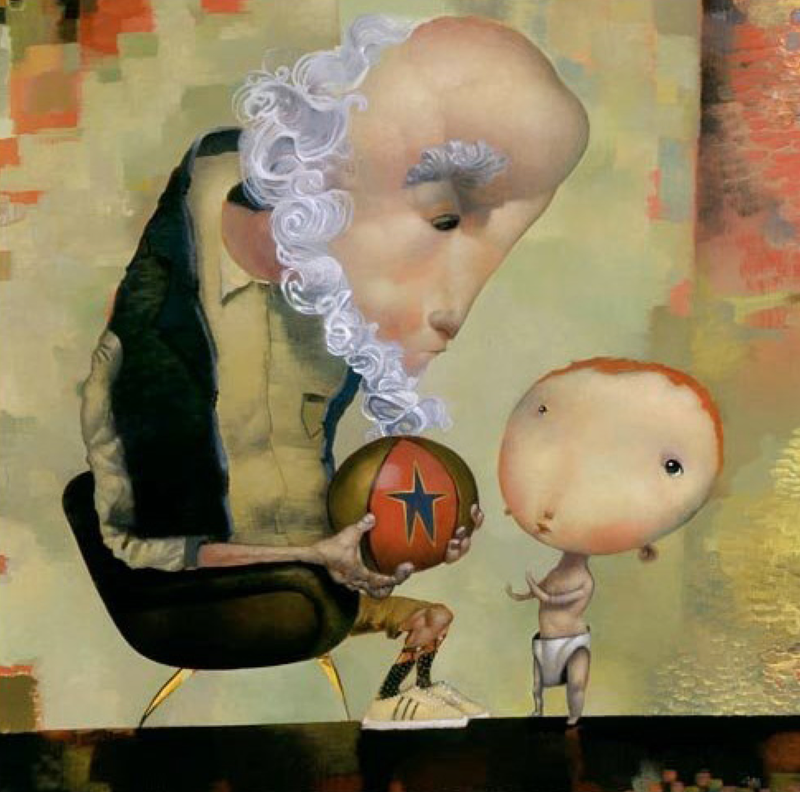 A great video on copyright infringement. It makes me sad that I got so into Cabbage Patch Kids. They should have had FRAUD stamped on their butts instead of Xavier Robers. He stole the design, idea from Martha Nelson Thomas. I love tea. 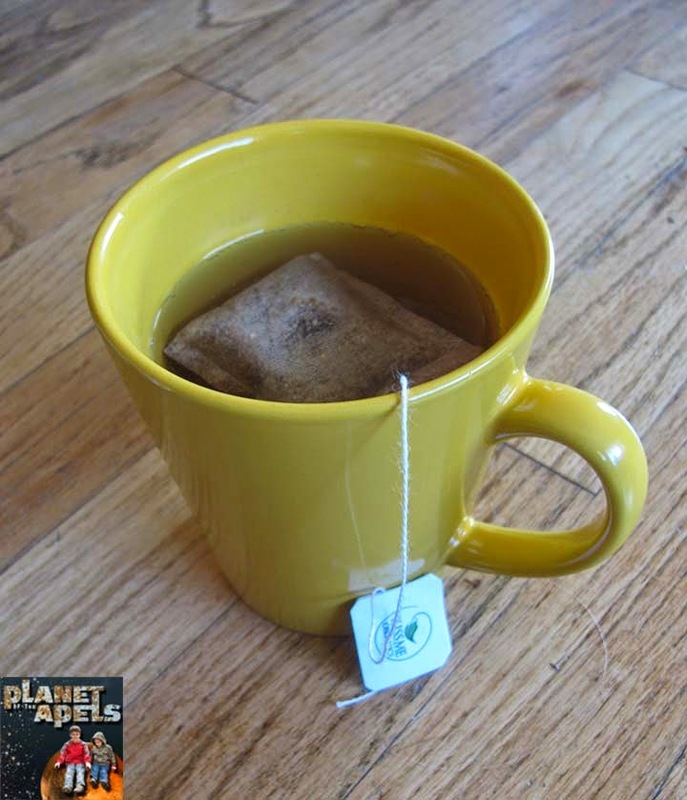 Awhile ago I got Organic Dandelion Root Tea to review. The tea is so good! They send along a PDF of recipes that you can make with their tea. *Place peaches, honey and vanilla in a blender and blend until smooth, pour in chilled tea and blend again for about 30 seconds. Makes 2 cups. *Blend all the ingredients together, chill for at least 1 hour, and garnish with leftover fruit. Makes 3 cups. Organic Dandelion Root Tea has Hibiscus and Cinnamon in it. It's not super strong. The flavors enhance the earthy flavor. They add a hint of flowery sweetness to every cup. Hibiscus has been shown to help regulate blood pressure. Cinnamon has been shown to regulate blood sugar and reduce bad cholesterol. Dandelions are related to ragweed. It could also build resistance to ragweed. It aids in supporting the digestive system. It's helps the body to absorb more nutrients and improve physical and cognitive functions. It helps with liver and kidney detox. This builds up over time. It's USDA | Organic. Raw Dandelion Root is extremely nutrient rich and provides more vital minerals and vitamins to your body when compared to roasted Dandelion Root. It's vitamin rich with vitamins A, C, D and B-complex. It also has Iron, Potassium and Zinc. A diet rich in these nutrients can help treat mood disorders, liver disorders and boost a weakened immune system. It's made by Kiss Me Organics. It's made in Wyoming, USA. Kiss Me Organics sent over a 20% off code for anyone that wants to use it: CQSHVVXD. This code is valid for a month. 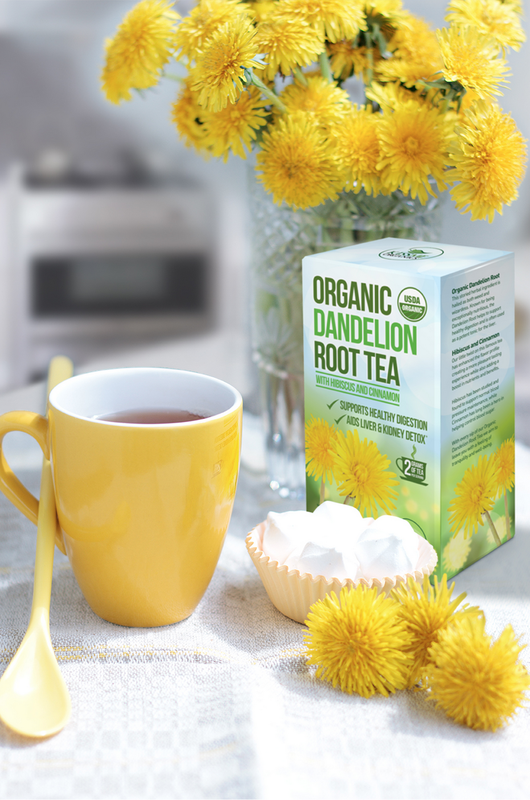 One of my US readers has a chance to win 1 box of Dandelion Root Tea By: Kiss Me Organics. I received one or more of the products mentioned above for free from Kiss Me Organics. Regardless, I only recommend products or services I use personally and believe will be good for my readers. Was it an Asthma Attack? Nope it Was Croup!